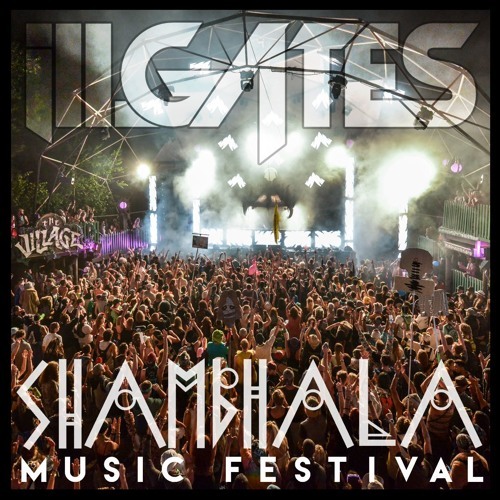 Shambhala Music Festival is a transformational festival held at The Salmo River Ranch in British Columbia. The 500-acre year-round working farm transforms into the largest city in West Kootenays for five days. The extraordinary change seems to happen overnight with a dedicated crew of 1000 workers and volunteers. The property features a sawmill that converts into the main gate during the festival, and a river you can swim in that runs through the forest farm. 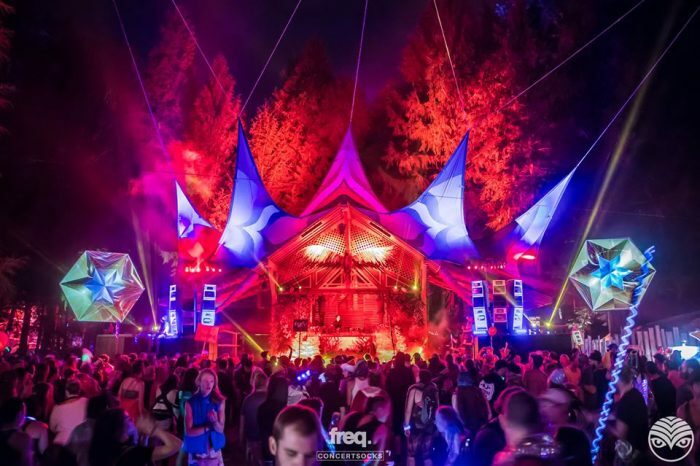 Upon the departure of attendees, the farm returns to its original state, where the cows are free to roam through the forest, and hay fields grow where campgrounds once were. What started as a 500 person gathering of friends that became family back in 1998, has now grown to over 15,000 guests, artists, and crew, providing astonishing art, music, and life altering experiences; growing mostly just by word of mouth, and friends inviting more friends. 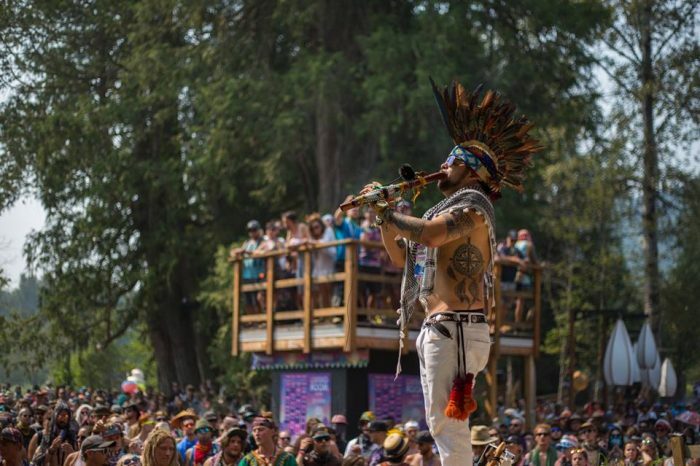 Shambhala is fueled by the love, Shambalove to be exact, and it shows! The festival also refuses all corporate sponsorship, which allows the festival to continuously create a vision that reflects the smiling faces on their dance floors. Keeping mainstream out means there’s zero advertisement or corporate logos anywhere on the farm, this contributes to the ‘retreat’ atmosphere and creates a space where you feel distanced from the outside world. 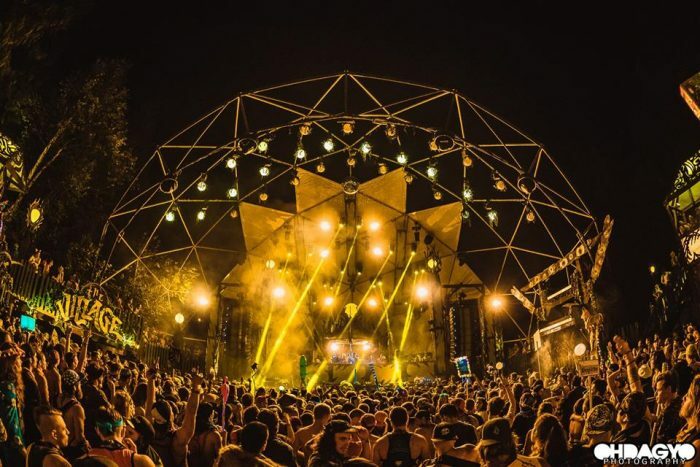 The six stages are each run by their own stage director that hand selects the artists, the vibe, and experiences of each of their stages; celebrating life, music, and art in one of the most beautiful festival venues in the world. 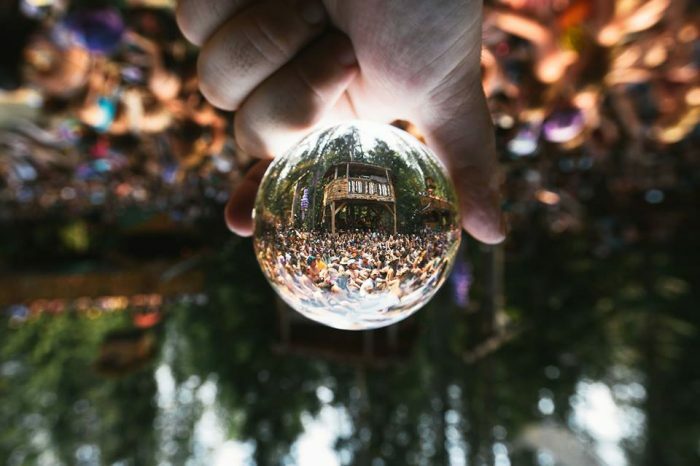 The festival’s integrity and good vibes invites us to break free from day to day big city commotion and escape to forest wilderness where we are welcome to freely self-express, be creative, and completely immerse ourselves and get lost in a multicolored transformational dream. 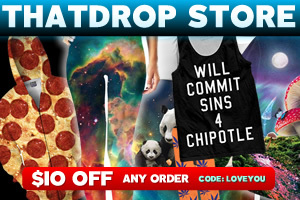 The “Choose Your Own Adventure” experience means the possibilities are endless. This magical world is your oyster. 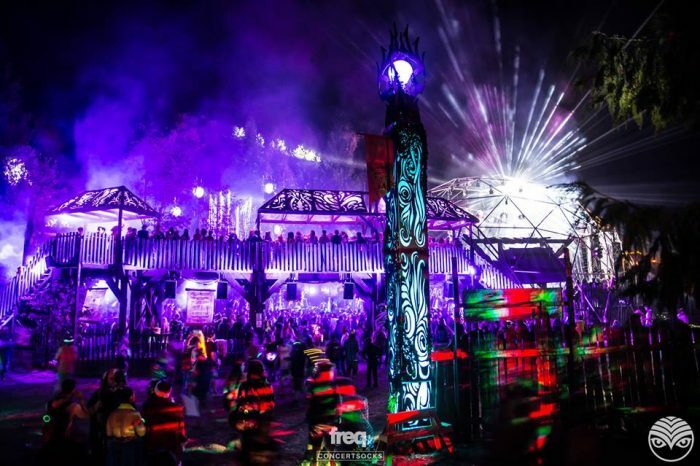 Shambhala Music Festival is proven to be a wonderland filled with ground breaking new trends and sounds, along with embracing all walks of life. This allows attendees to truly feel free to be themselves and believe in the energy of nature, synchronicity, and moments amidst. 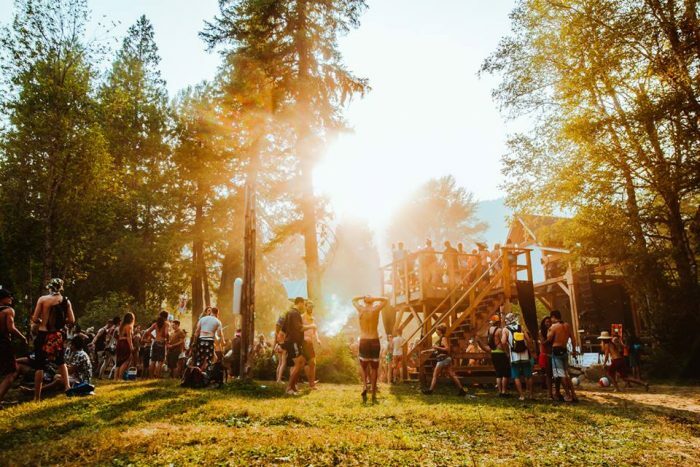 Shambhala welcomes you to partake in exploring the BASScamp Art Gallery, workshops with a wide range of topics and experiences, and yoga as the sun sets over the mountains. 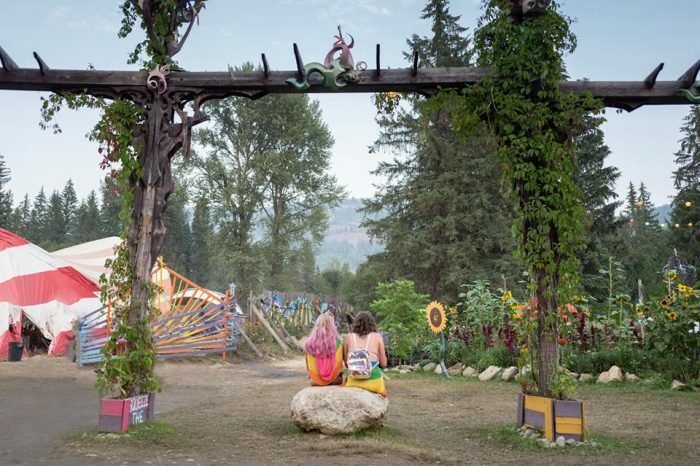 You are welcomed to get involved in many activities while attending, from getting married in the wedding chapel, spinning a wheel to discover your “Spirit Animal”, leaving a wish at the Wish Tree, shopping in the Food and Artisan Market, to exploring themed camps around the campgrounds. 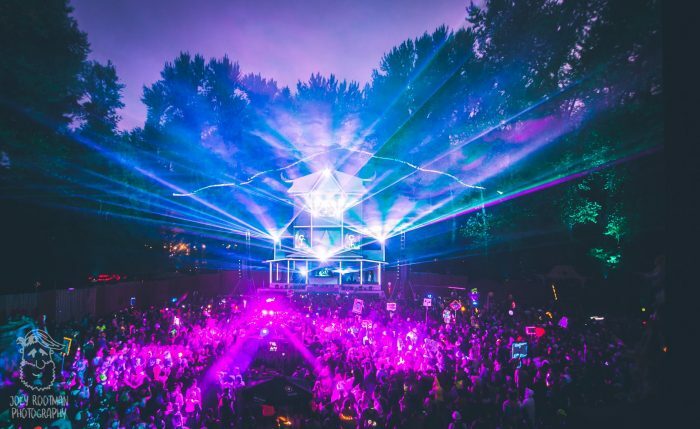 Some of the music acts from previous years include; Adventure Club, Bassnectar, Boogie T, Buku, Camo & Krooked, Claptone, Ganja White Knight, Liquid Stranger, Kill The Noise, Z-Trip, Rezz, Green Velvet, and many, many more. 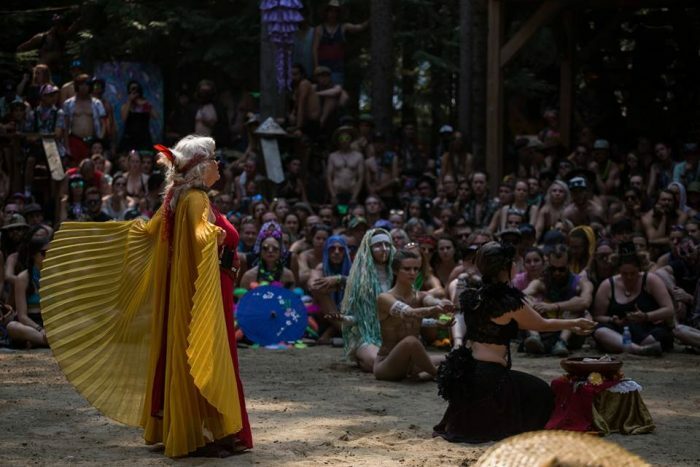 Shambhala has released ticket sales for the 22nd Annual Run of the enticing festival. The return will be held from August 9th, 2019 to August 12th, 2019. 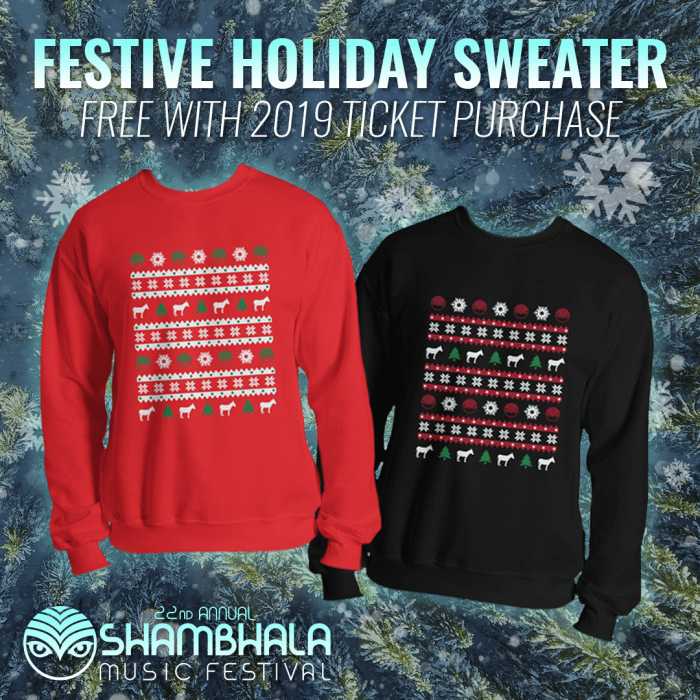 While 2019’s lineup is still TBA, they are currently running a special, while supplies last, offering a free Christmas Sweater with all purchases between November 6th, 2018 and December 6th, 2018. 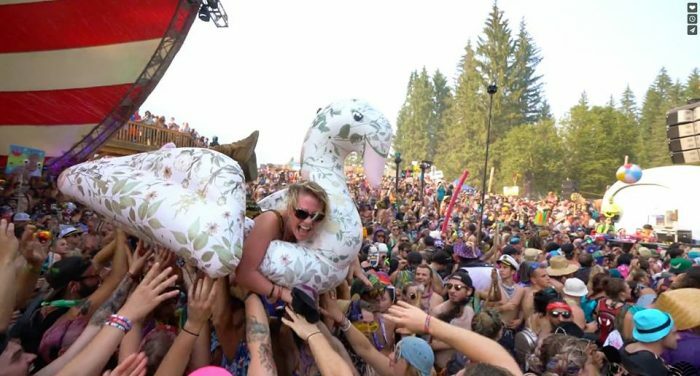 Along with ticket sales, multiple lodging packages have also been released, from general camping to glamping and RV/Vans, there’s a package for everyone and is located just a short 5 minute walk away. Get your TICKETS, and check out SHAMBHALODGING PACKAGES to lock in your 2019 journey! 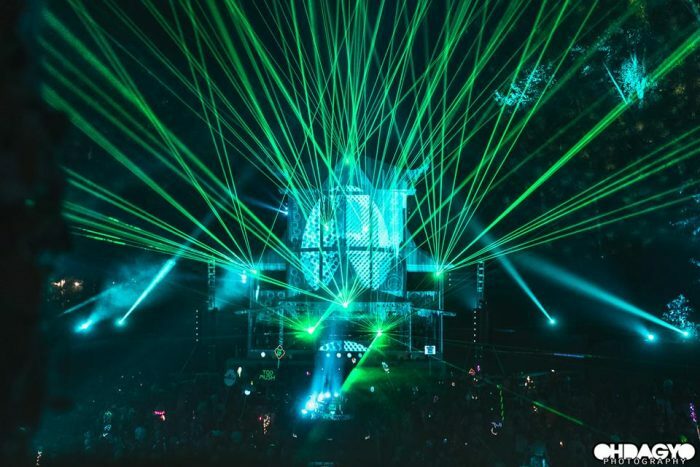 Take our exclusive virtual tour of Shambhala 2018 featuring the best sets and incredible photos and videos.